Q1: What clinical findings are present? 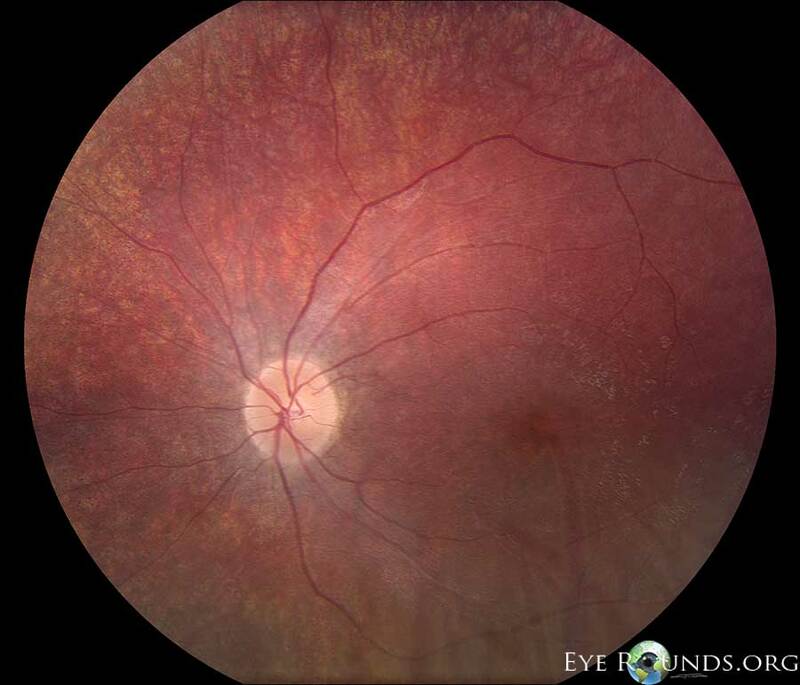 Q2: A 6 year old female with previously normal vision presents with this fundus appearance and worsening vision over the past 6 months to 20/200. What diagnosis must be on your differential, and a deletion in what gene is responsible? 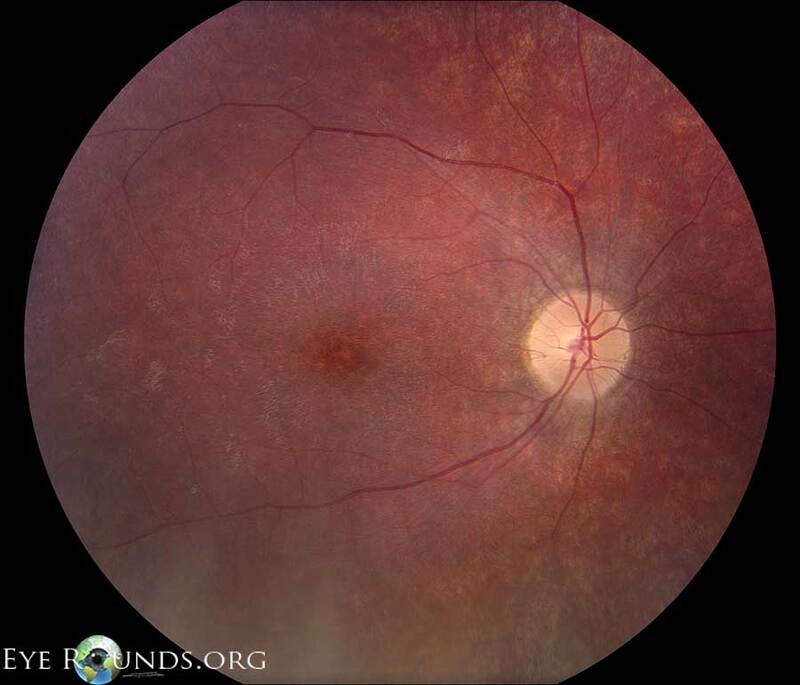 Q3: What would an electroretinogram (ERG) likely show?